Press — ThisAbility – Inclusively, daringly forwards. Below is a selection of features we're honoured to have been involved in. Sulaiman’s (our Founder & Chief Purpose Officer) first ever interview for Lecture in Progress chatting about amplifying the voices of disabled talent; published 14th March. Livity is hosting their first major event of 2019. Launch It - the careers festival for 16-22-year-olds who want to immerse themselves in the creative and digital industries. Our Founder and Chief Purpose Officer Sulaiman Khan will be joining a special evening panel "How to build a career at home" at this event, which Livity is doing in collaboration with The Mayor of London and the Greater London Authority. Sulaiman’s interview with the Berlin School of Creative Leadership sharing my thoughts on creativity and disability; published 3rd January. 2019, we’re coming for you. Congrats to our Founder & Chief Purpose Officer Sulaiman Khan who was recently named ‪one of Campaign Magazine’s 2018 top 10 Trailblazers with‬ some of our most incredible, personal sheroes and heroes. Wow. We’re so proud, and a great end to 2018. “Don’t be a hashtag disability pimp”. — Rosemary Frazer (29 June 2018, 19:23)‪. Yesterday (3 December), it was International Day of People With Disabilities, and we LOVE this quote by our advisor and good friend Rosemary. Yes, you get it. Disabled people are more than you accept! Four days ago (15th November), we had a great morning attending “The Disability Debate: More than Representation” with Elvis Communications and a fab panel National Gallery chatting all things Disability and media. We shared best in class examples of brands celebrating disabled people in advertising and discussed some of the common barriers that can get in the way of all businesses doing the same. Unpacking the challenges around the industry's ignorance, lack of education or just fear of getting it wrong, we touched on the tangible ways we can all start making a difference. We are all about tangible actions and making real change. So, we’re super excited to be working with Elvis Communications to bring you this special event. Join us for ‘The Disability Debate: More than Representation’ on 15th November 9:30am at the National Gallery. Campaign’s Our panel will be discussing on Disability in marketing and the creative industries. Tickets are limited, so secure yours now and better equip yourself to bring diversity, but specifically Disability, into your business. Click on the link to secure yours now. Wow. Two years ago yesterday (22 October), we were founded by Sulaiman (our Founder and Chief Purpose Officer)! Read Sulaiman’s eloquent and emotional blog post “Lonely River” of his thoughts on yesterday via the link below. Congrats to our Founder and Chief Purpose Officer, Sulaiman, for making The Dots UK and Squarespace’s 100 creative #LeadersWithSocialHeart list! We are all very proud of you. We’re delighted that Sulaiman (our Founder and Chief Purpose Officer) to be one of the 2018 DIMA 50 Male Advocate for Equality in Marketing & Media, alongside 49 other incredible advocates. DIMA's goal for the initiative is to showcase and celebrate the contribution of men in marketing and media who are advocating for change, promoting equality and actively taking action for change. We’re proud that our Founder and Chief Purpose Officer, Sulaiman, will be 2018 Judge for the BIMA Advance Award for Diversity Jury. Class of 2018, BIMA (British Interactive Media Association) – BIMA 100 "Champion for Good"
"The BIMA 100 celebrates the people who are shaping the British digital industry. They are the thought leaders, changemakers, disruptors and pioneers. They’re established figures within the industry who continue to be at its vanguard. They’re ‘ones to watch’ – new innovators in the chosen digital space who are making everyone else sit up and take notice. Here, then, are your BIMA 100 for 2018. Congratulations to them all." A wonderful article that was written by the wonderful Robyn for Campaign Magazine on the year ahead in adland and inclusivity in the creative industries, which our Founder and Chief Purpose Officer, Sulaiman, shared a few of my thoughts. A must read. Our Founder and Chief Purpose Officer, Sulaiman, was named in Campaign Magazine’s annual of Top 10 Trailblazers for Change 2017 and a mention of his work with ThisAbility. Here’s to more badass adventures in 2018 and beyond to do businesses (and the world) a healthier, more empathetic, fairer, kinder, and inclusive place. Watch this space. Sulaiman was an official speaker at the eurobest Festival of Creativity (from 28 November-30 November) at Victoria House Basement here in London. 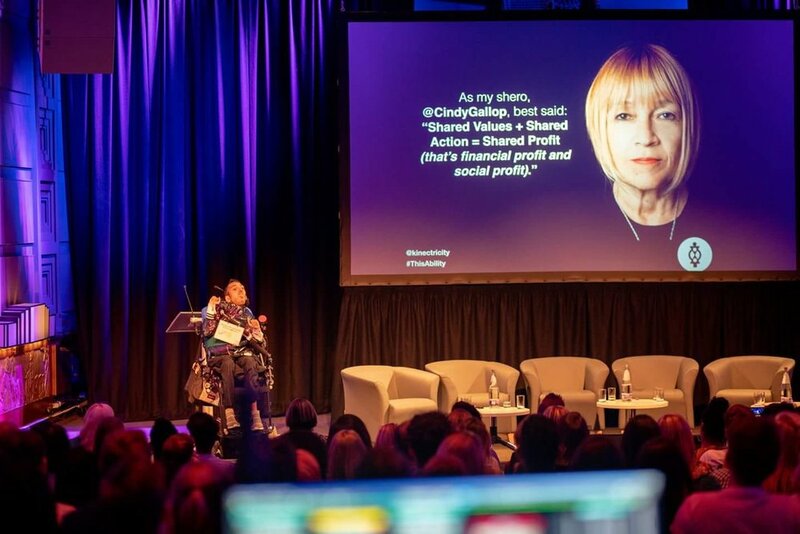 He was honoured to both be on a diversity panel with McCann Worldgroup Europe and host a workshop with my friend (and ThisAbility advisor) during the three-day event. It was our first time joining eurobest, and what a pleasant experience we had. Read his blog post about his experience here via the link below. An article in Campaign about creative disabled talent, and our work at ThisAbility. Our Founder and Chief Purpose Officer, Sulaiman, wrote piece on disability and employment for openforideas.org (who are currently focused on Diversity & Divergency), which was published on 2nd March 2017. 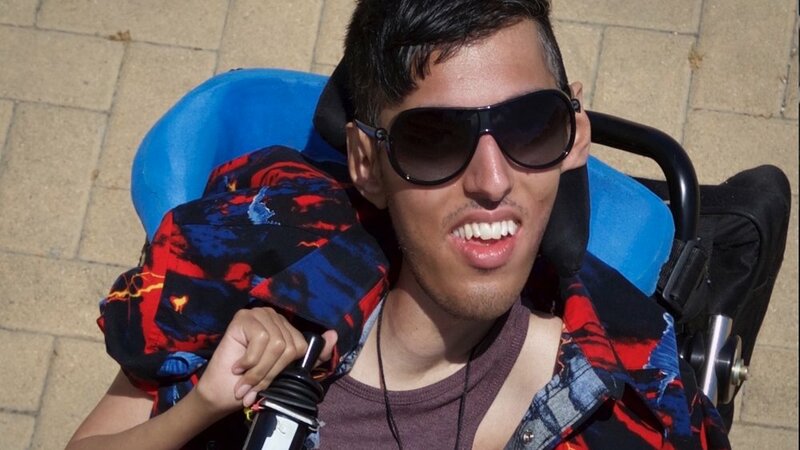 Pre-formation of ThisAbility: Sulaiman’s thoughts on working in the advertising industry as someone who happens to have a disability. He was so honoured to have my first feature in the advertising industry's Campaign Magazine amongst such intelligent, awesome and creative people. Pre-formation of ThisAbility: Sulaiman was invited by D&AD to be an official Festival Speaker at the inaugural festival this year. I gave my keynote on 21st April 2016. Below is his blog post about it.